The biggest obstacle was me, believing in myself and stopping the excuses. Getting into a routine of daily exercise and planning meals was the real key to success. The only person that could make me reach my goals was me and it’s also been helpful have a really supportive family. Anybody can lose weight but you need to be 100% committed to yourself and changing your lifestyle. I started my journey setting achievable goals within a realistic time frame. I have never referred to my weight loss as a diet because to me a diet is short term. It’s a lifestyle change because for me that’s forever. I kept my weight loss journey very private, only a handful of people knew. Having a small support team is all you need, at the end of the day it’s your business, no one else’s. Be honest with yourself, the only person who can change you is you. Today I feel the healthiest I have in a long time. I don’t feel like the overweight and sluggish person I did when I started this journey nearly 1 year ago. I love walking in the mornings and starting my day with a positive mind set. I feel I have inspired my children and friends that anyone can achieve their goals. 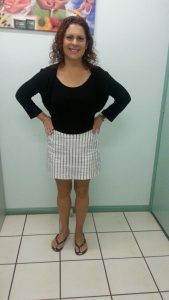 I am walking proof and I can honestly say I am super proud of the new me. 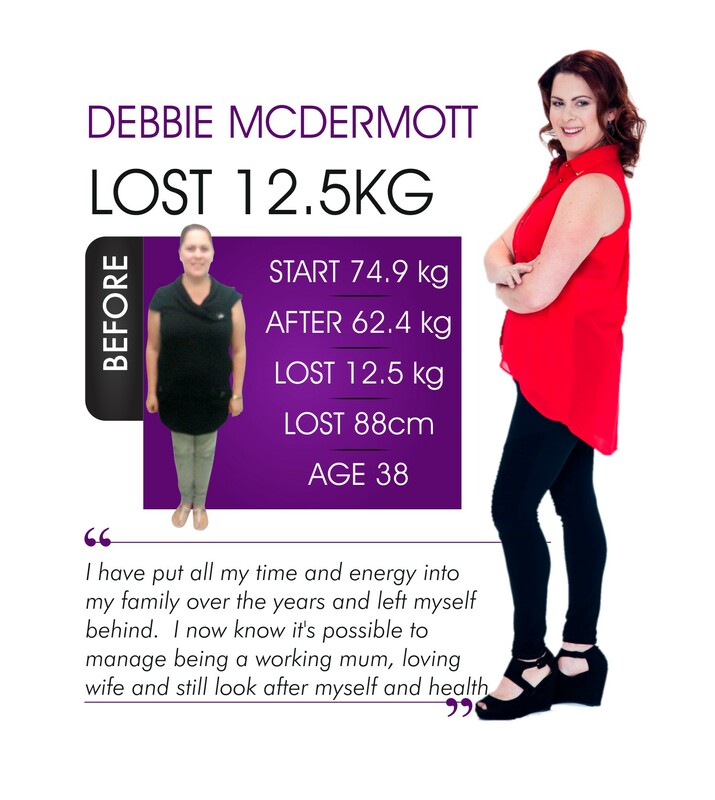 Debbie is an inspiration – she has no intention of ever going back to her ‘old self’. If you are sick of ‘fad dieting’ and then regaining all of your lost weight, you need to come and see The Natural Way to learn HOW to lose weight and keep it off. Phone 1300 SLIMMER (1300 754663) TODAY to make a FREE appointment to find out more about our lifestyle-friendly program. NO MORE YO-YO DIETING – The Natural Way is your answer to long term weight maintenance!